This 5.5ft by 6.6ft hyperrealistic acrylic painting is a visual metaphor for medical professionals lack of empathy towards the complex struggles of living with a mental illness. Inspired by Caravaggio's "The Incredulity of St. Thomas", this painting repositions the well-known allegory as a metaphorical tool for . Just like Saint Thomas, the symbolic psychiatrist only accepts the truth when she feels the patient's wounds. 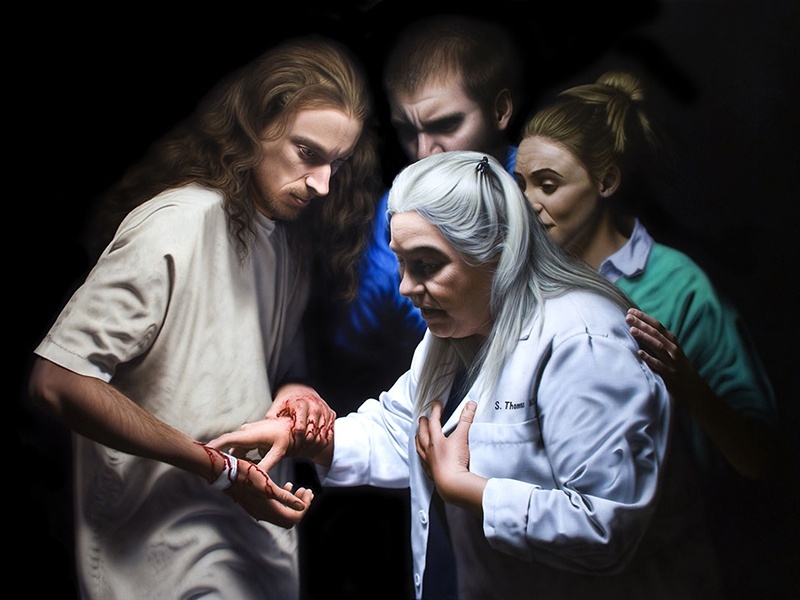 This painting is a message that comprehension and empathy in the medical profession are powerful tools for healing.